"PRICE JUST REDUCED" This beautiful and immaculate pool home has all the items on your wishlist! Move in ready. 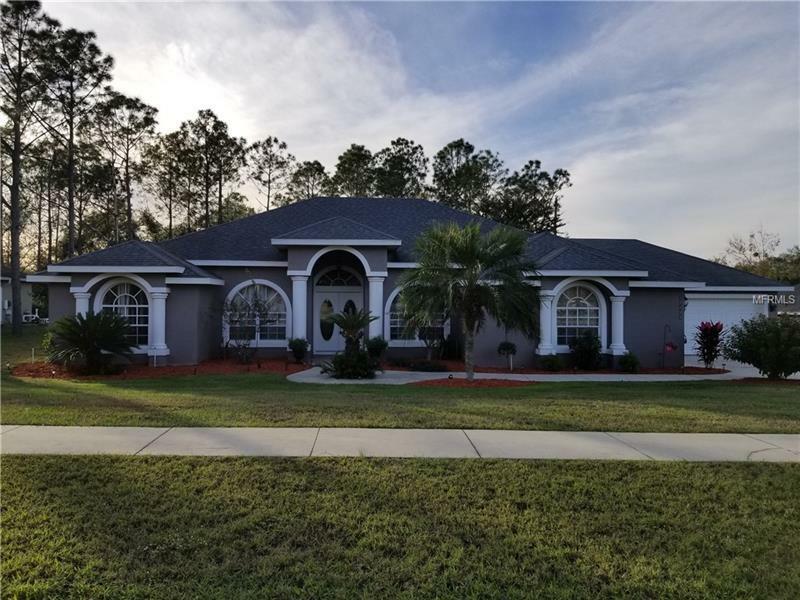 This 4 Bedrooms, 2 Bathrooms home features a family room and extra bonus room that each have built in entertainment units. The master suite features a large walk in closet, double vanities, jacuzzi and separate shower. Spacious kitchen with 42â cabinets, stainless steel appliances and separate breakfast nook. French windows overlooking the water fountain and pool. All appliances are included. The second bathroom also features double vanities. New air conditioning unit. Freshly painted interiors. Imagine all the great times and memories that you will have with friends and family In the spectacular back yard which is completely fenced in and features a manicured lawn and majestic pine trees. Do not miss the opportunity to own the home of your dreams. Come see it for yourself at the tranquil community of Monteverde.